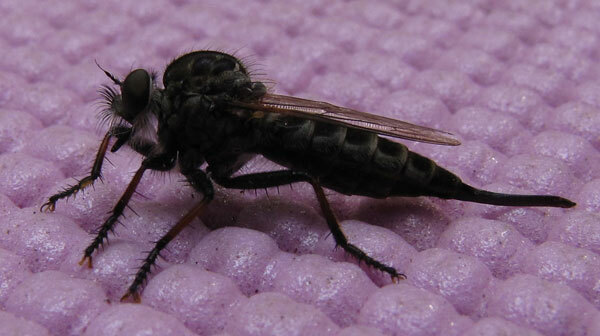 Many people confuse the innocent little robber fly with a mosquito and squish it. Save the robber fly! These helpful insects actually eat biting flies and harmful citters, so you want to keep them around. 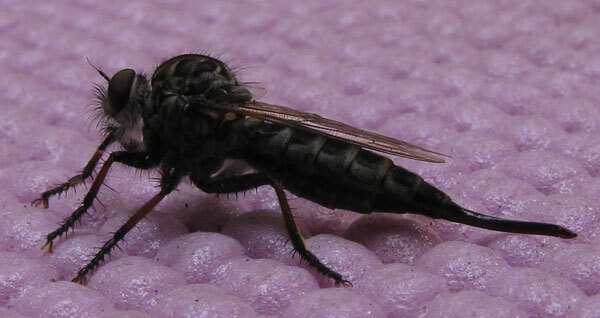 Robber flies are members of the Asillidae family and to me they resemble dragonflies, which eat mosquitoes. So you want to keep all of these things happily living in your yard. I'll not that you should not harass a robber fly. They will bite you in self defense if you swat at them. Sort of like how a bumblebee will be quiet and sweet unless you start to really threaten it. So be nice to these creatures, and they will take good care of your environment for you. 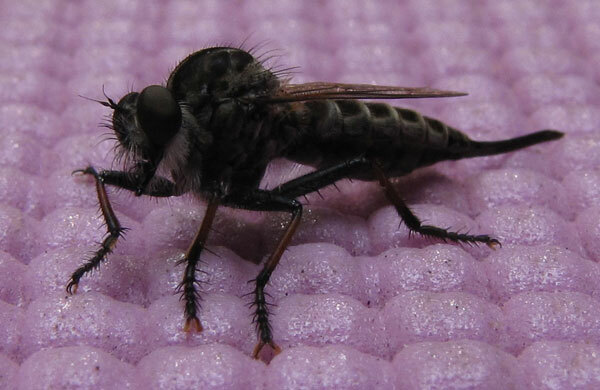 Here are some photos of a robber fly on my yoga mat. That's how small it is, that the dimples shown are the dimples of a yoga mat. This is a female - you can tell because her tail tapers at the end.